March 14, my birthday, was the day that my relationship with a narcissistic person ended. May 14 is the two month anniversary of my No Contact with a narcissist. I am very glad I have made the 2 months. I was very broken at the beginning. It took a lot of proactive work on my part to heal from the abusive relationship. He has made me into a shadow of my former self. He had put all kinds of negative thoughts in my head about myself. He had made me fear my workplace and all of the people I work with. I became fearful of any interactions with anyone at work. People considered me rude, and they picked up on my high level of anxiety. Being with a narcissist makes you in a hyper adrenalized state all the time. You end up in a state of severe anxiety all the time. You never know what to expect. You never can do enough to please them. There is always something wrong. The last few weeks at work have been better. I have started to be myself again and talk to people. I have started to make people laugh at my humor, that I had lost before. Being with a narcissist takes away all of your sense of humor. If I ever wanted anything my way, I would get threats of suicide. That tactic always made me do what he wanted. The fear of someone committing suicide because of me, was a powerful tool. If it was not a suicide threat then I was “triggering him” into PTSD. Anything that did not go exactly his way, anything I pointed out or suggested was “a demand” to him. Any attempts to discuss the relationship was a demand and I was causing his mental breakdown. Interestingly, he would answer calls on his other phone, while I was on the one, and he was calm and confident with the caller. I always wondered how he could come out of a severe mental breakdown and take a business call like that. He always said it was acting. He said was really in the state he told me he was in (post traumatic stress or suicidal) but was able to be rational, logical, and business like and very friendly to another caller. Then come back to me and be back in mental trauma and unable to discuss anything that I wanted to discuss. Any refusal to do things he wanted me to do, was also retaliated against, in the form of mental abuse, silent treatment or threat of a break up. I spent hours a night, after getting home from work, helping him with his company business, many time until 3 am. It did not matter if I was tired or had to work the next day. I ended up giving up on any preferences, any opinions and any ideas. Everything was his way. My days were spent doing things for him and neglecting important things I needed to get done for myself. Now people are nicer to me because I am more myself. They do like me…surprise surprise. I had been brainwashed into thinking that everyone was against me and everyone hated me. 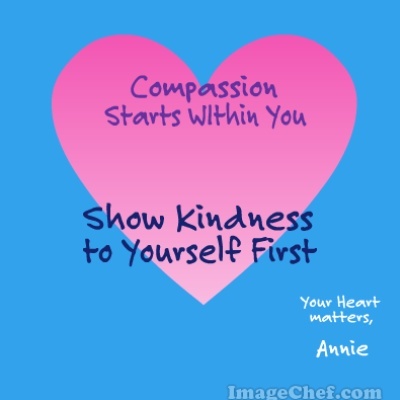 I have had nice compliments about my quality of work, my compassion with the residents and that I am fun to be around, in the last couple of weeks. I am beginning to get back what was taken away from me. My life force is beginning to come back. Being in an abusive relationship is like having every drop of life force sucked out of you. SO, yay for 2 months of healing. I will continue to work on my videos on YouTube about abuse. They seem to be helping people who see them. The first few weeks after an abusive relationship are very dark. Once you realize that someone has been leveraging your love and kindness against you, it is easy to become depressed…even suicidal. I spent hours a day reading about narcissistic abuse and watching videos by people who have been through it. I bought the Spartan Life Coach course “Overcoming Narcissistic Abuse.” I would recommend it and I believe it saved my life. I was feeling suicidal and the only thing that kept me here was feeling responsible for my kids. Everything was very dark. I distrusted everyone. The course has videos and mild hypnosis tracks to listen to. I listened to them every day. several times. They really helped. I celebrate my freedom from abuse and my new found knowledge about how to change, in order to not attract toxic personalities. Thank you for your care and support. I am feeling better tonight. As many of you know, I was in the ER the night before last. I was having pain that I thought was a urinary tract infection. The doctor ran cultures and blood work. He said that it was the beginning of a relapse of the intestinal infection that I had been hospitalized for a couple of weeks ago. I have been taking the antibiotics as instructed and hopefully this will work. The hospital probably released me too soon. They want the bed for the next person and the ones with no health insurance get sent out as soon as possible. It is all about the money, as you know. The day before I was released, there were still quite a bit of white blood cells, when they did the blood work. The next morning the white blood cells had gone down and they released me. It had not been enough time to make a good assessment as to whether the infection had really cleared up. Also, they had been running 2 kinds of antibiotics through the IV lines for the 3 days I was in the hospital. It was this combination of antibiotics that was working to clear the infection. When they sent me home, they only gave me a prescription for one of the two antibiotics. I do not know why. I was wondering at the time, but that is what the dr gave me. The doctor in the ER the other night said that I needed both of the antibiotics to clear this. he did not come right out and say they the hospital doctor made a mistake in sending me home with only one antibiotic. He did not come out and say that they sent me home too soon, upon the white blood cells going down. But I think it was apparent that he disagreed with the decisions that the hospital doctor made. The ER doctor was very nice. He was much nicer and more communicative than the hospital doctor. He answered all of my questions fully and even let me see on his computer screen the results of all tests. he explained everything to me in a way I could understand it. This is something the hospital doctor was far from doing. So, he sent me with Levoflaxin. He made the dosage twice the mg that the other doctor had given me. I was sent home from the hospital with 250 mg but this new doctor gave me 500 mg. Could this have been another mistake by the hospital dr? I think that he probably gave me too low of a dosage when I left the hospital. So, I have the 500 mg of the levoflaxin and he also gave me flagil which is 3 times a day. He said he thought this cocktail should work. He also gave me anti nausea meds because of all the antibiotics, so that I would not feel to sick and stop eating. Thank you for all of your kind words and thoughts. I cannot afford to go into the hospital again. I already missed a few days. The next paycheck is going to be low. I do not even know how I will make it through the next few weeks. People with mental illness often have psychological damage from being subject to abuse during childhood. Then very often they are retraumatized in adulthood by ending up being the victims of predators, There are narcissistic people that prey people who have C-PTSD from childhood abuse. Some predators actually will evaluate you during conversations early in the relationship. They find out about your past and what the effects were. Yes, when they were seeming to be so sweet and caring, they were pumping you for information, in order to asses how broken you were. 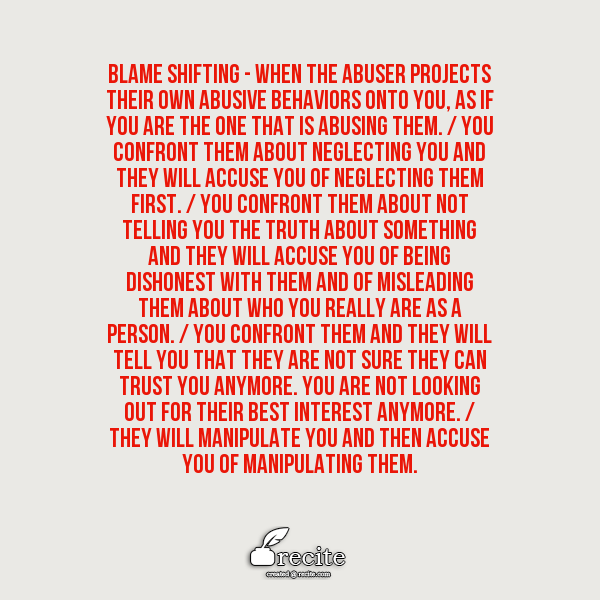 These predators know that broken people are easier to brainwash and drag into their world of control and manipulation. The relationships we have with people like this, retraumatize us and add to the C-PTSD we already had. You have chosen to click on this post because the title of it struck a nerve with you. Most likely you have been abused in your lifetime. It may have been during your childhood and / or it may have been as an adult. 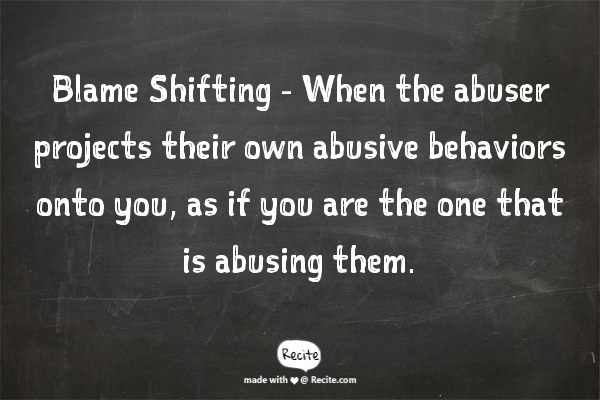 Many people that were abused as children , end up in abusive relationships as adults. The psychological damage from living in abuse is extensive and can cause depression, severe anxiety, OCD, PTSD, and other mental illnesses. It is also common that people with other mental disorders such as depersonalization disorder, bipolar disorder, borderline personality disorder , social anxiety and insomnia have experienced abuse during their lifetimes. As people with mental illness, we sometimes make choices that are harmful to us that other people would not make. We are so used to things being abnormal and painful that we tend to not notice the red flags of an abusive relationship until it is too late. 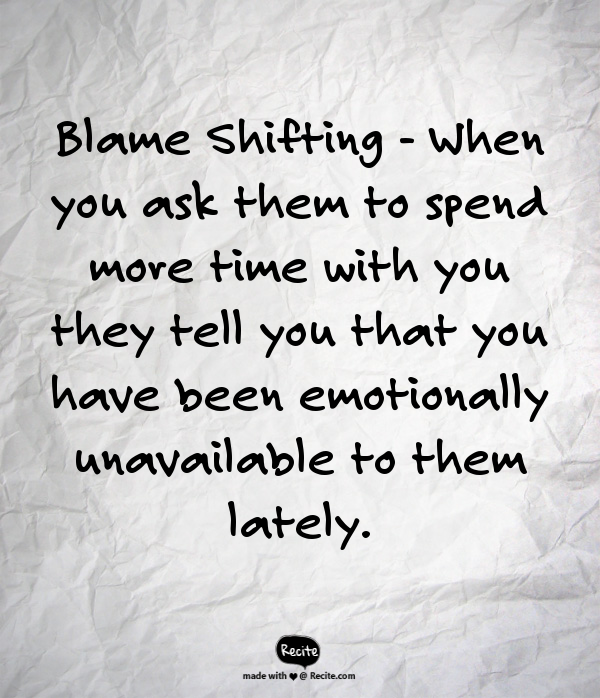 The mental illness causes us to end up in codependent , manipulative, abusive relationships. 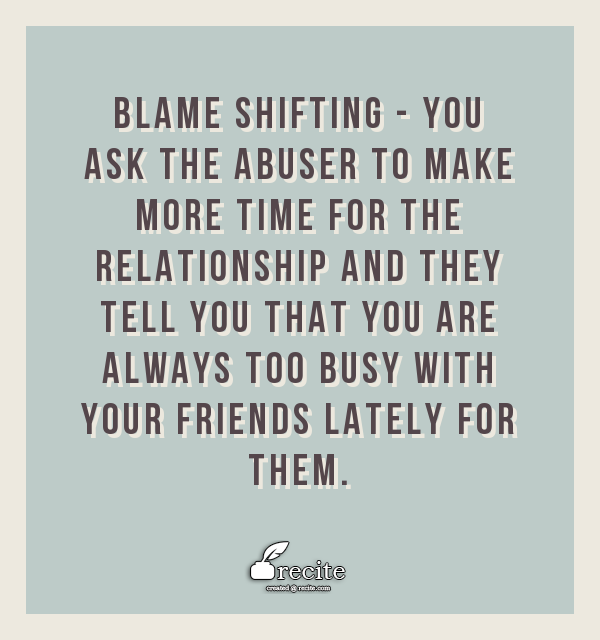 On the flip side, these relationships that cause severe psychological damage and we end up with mental illness that we may not have already had. Which one comes first? The mental illness, the psychological damage, the abusive relationships? It is hard for us to tell. If you think back through your past , if you can remember, then you will most likely identify abuse against your mental health. Situations of trauma cause PTSD. The people who tend to be the most affected are the ones who have had some kind of mental trauma in their past. There are cases of severe trauma (like military horrors), that can cause PTSD , even of the person had a “normal” past. But a lot of the people who endure ptsd that never seems to go away, had some form of abuse prior to that trauma. 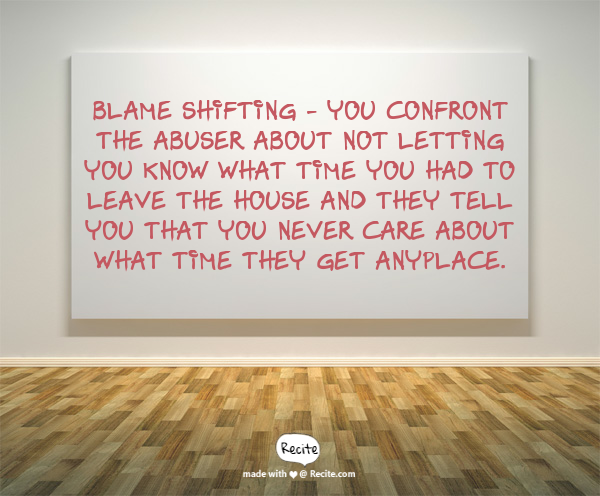 It is sometimes difficult to identify abuse from our past. For some people it is glaringly obvious and for others it has been blocked out by their own brain. The brain wants to protect itself from further trauma and will black out memories and deny us access to them. People with psychological damage often have more than one mental disorder. In addition you may carry with you a feeling that you are not good enough to have a healthy relationship. If you are carrying C-PTSD be careful of predators that may end up retraumatizing you. You do not need to sustain more mental damage. Do not automatically assume that if someone is asking about your past and being a good listener that they care about you. 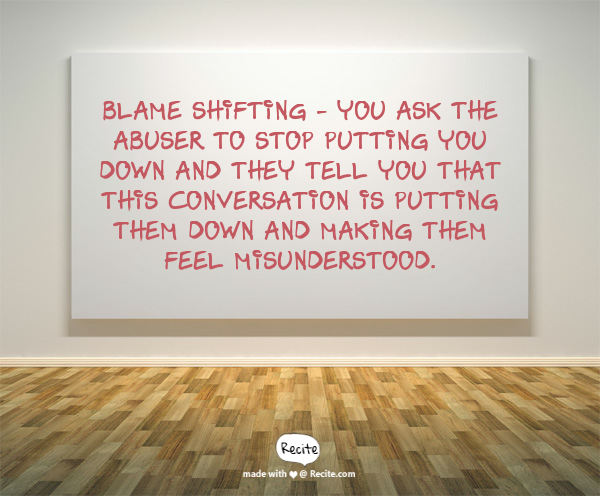 There are red flags of abusers that you should be aware of. You can search the tag Red flags of abuse or narcissistic abuse. Learn the patterns and behaviors of narcissists and other abusers. There are typical patterns and things to look for. You will identify the red flags if you are aware of them. Things like “love bombing” and “devaluing” are terms you should search, if you are not aware of them. There is a great youtube site called Self-care Haven. She has videos that you should watch if you do not know the tactics of narcissists and how they draw you in.